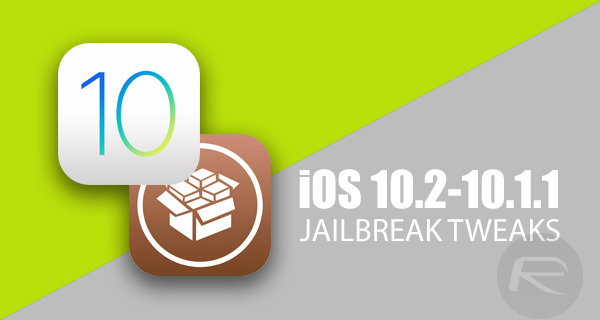 Here is a list of iOS 10, iOS 10.2, iOS 10.1.1 compatible Cydia jailbreak tweaks for compatible iPhone and iPad devices. There’s definitely a new sense of excitement buzzing around the jailbreak community. And rightly so. After a prolonged period of what seemed like total inactivity, we now have a functioning and publicly accessible jailbreak solution for iOS 10 on all 64-bit devices running firmware version up to iOS 10.2. This means compatible devices can now not only be liberated and offered freedom from Apple’s stronghold, but also interact with Cydia and download those beautiful and highly sought after jailbreak apps, tweaks, and extensions. The question is, which packages and tweaks actually offer compatibility with those iOS 10.1.1-10.2 devices? With Mach_Portal+Yalu jailbreak for iOS 10.1.1 being available for over a month, developers have had plenty of time to make their tweaks compatible with iOS 10. And now with updated and stable yalu102 jailbreak for iOS 10.2 with built-in support for Cydia Substrate (also known as MobileSubstrate), most packages that worked on 10.1.1 should now work on 10.2 as well. With that said, some tweaks may still need to be updated to offer full iOS 10.2 support, which is where this compatibility sheet comes in. As always seems to be the case, the jailbreak community has put together a crowdsourced list of packages and extensions on Google Docs in order to try and show which tweaks on Cydia offer full compatibility with the jailbroken iOS 10 firmware, and which ones offer partial compatibility. This is a continuously updated resource, meaning you should be referring to it continually to see if any new packages have been added to the compatibility list. It should also definitely be checked before you actually take the jump and install something as this could cause bigger problems with your device than you’re actually prepared to deal with. The full continuously updating compatibility list for iOS 10.0.x-10.2 jailbreak tweaks can be seen below. I am having the issue where I download any tweaks and none of them are working. So far only iCleaner, Mterminal, and iFile work. If I try xcon, bdayspotify 2, betterfivecolumnhomescreen, or any other tweak they don’t work. No settings show up for any tweak either. I’m on iPhone 7 plus using jailbreak for 10.1.1 I’m not sure what steps I should be taking from here or is this normal at this stage since it’s still an unstable jaikbreak? I have tried enabling substrate with commands through mterminal but that doesn’t seem to make a difference. I have not used substrate fix since it’s been advised not to. But would that help the problem? Or should I re jailbreak? Anyone else going through this? some one can tel me if tweak control pane works in iphone 6s 10.2? With is still being a beta jailbreak, downloading sources aren’t 100% reliable. I barley made it through with the ones I wanted on my iPhone SE. are you able to use Activator? Anyone have any ideas regarding gifviewer? It says it’s compatiable but when you search Cydia for gifviewer and find it, it says that it’s not compatiable with your current OS which I’m running 10.2. 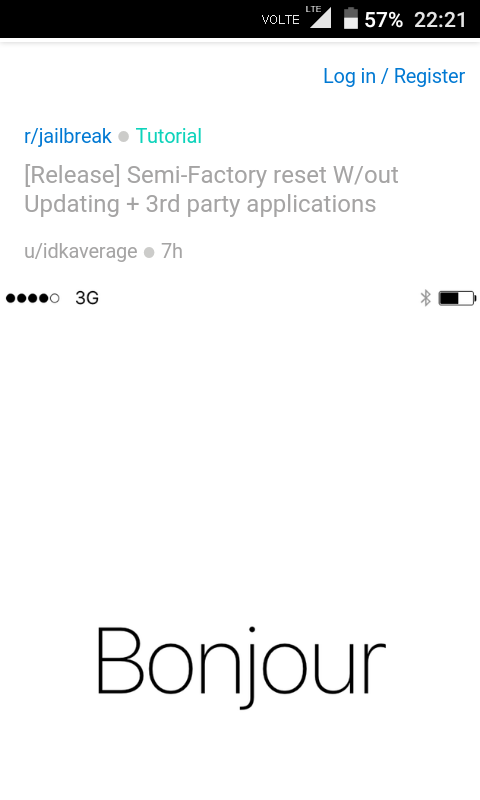 Is there an updated source for this tweak? Jailbreak for 10.1.1 b3 does work for iPhone 7 and 7 plus. the issue was resolved once cydia substrate was updated. i am no longer having the aforementioned issues. thank you for your informed response. What source are you getting it from? The only one that pops up for me won’t let me download it because it says it’s not compatible. I don’t see Erica Utilities or cycript in the list, are those working (or 3rd party and therefore not on the list)? The main JB app I’m wanting is PandoraDownloader. Doesn’t seem to be updated. Can’t even find it on Cydia. Am I overlooking something? Or was it just removed completely? iphone 7 10.1.1 still waiting to jailbreak………………………………..
Use Impactor_0.9.38. Do the same as with yalu. Download any app on PC and sign it thru Impactor and it will show up on your iOS after it’s done. In Cydia install Immortal from BigBoss repo to preserve everything 4ever. Otherwise limit is 7 days and only 3 apps per device. Any word on LocallApStore? Is it working? Thank you for the answer I will try this method. BounceNotify8 does work on my iPod touch 6g iOS 10.2 but the interval and bounciness settings have no effect. I can’t find it on Cydia. Am I looking in the wrong place? Or do I just not have the correct repo? Anyone check if appsync unifield 6.0 beta1 work? LockHTML 4 keeps putting me phone in Safe Mode. Only problem I ever had tweak wise. All other tweaks works just fine. Guys i need some help from all of you. that sim carrier issue resolved after jail break.? bcz i have 5c and carreir issue in it. and how install i jail break in my 5c. Using 8 beta 1 just fine. What’s more annoying is you can only install the antique 15.2 version from repo, installing 17 requires Xcode & impactor fiddling. Been there done that, luckily they were still signing 10.2 at the time. iPhone 5s running 10.1.1 ….which software do I use to jb it? You can’t even install LocationFaker. It just gives you the option to “Re-Check” and it actually says it’s not compatible. Funny though, they advertise it on Reddit also but give no response to multiple people stating you can’t install it. Did anyone have problem with photo memories after jailbreak? I have iPhone 6 iOS 10.1.1 and after jailbreak my photo memories crash after pushing play. no one working for me appart snaplite , im on iphone 7 with ios 10.1.1, anyone have a solution ?? Can’t find it , it is in an foreign source? ?